Lennox is a highly trusted brand in the HVAC industry, so it should come as no surprise that the brand also manufactures some of the highest quality thermostats around as well. 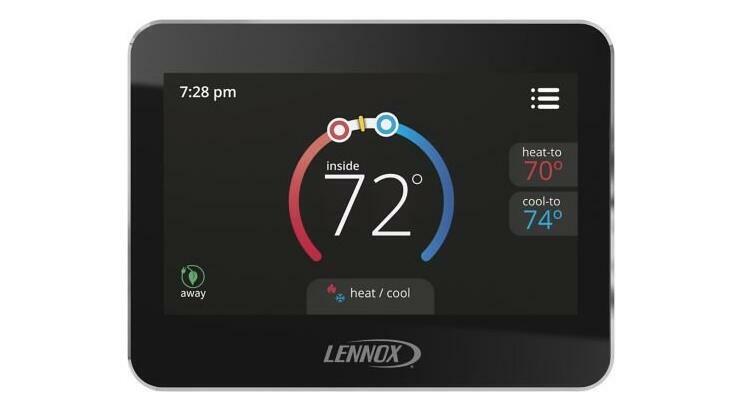 The Lennox brand of thermostats are an obvious choice to use with your current HVAC system. But did you know that they are also compatible for use with other brands? By reading up on Lennox thermostat reviews, you will gain all the useful knowledge and information you need to purchase the perfect modernized thermostat for your home. Why Should I Purchase a Smart Thermostat? Should You Hire a Professional for Your Smart Thermostat Installation? Will You Soon Be Installing a New Lennox Thermostat? Lennox thermostats include some of the very best digital models currently available in the industry. They are loaded with all the features you need to keep your home comfortable throughout the year. With these devices you have the option to choose the ideal temperature for your home even while you are away. The user interface for these thermostats is also very impressive with innovative touchscreens, large easy to read displays and Wi-Fi capabilities. However, if you are not interested in owning a smart thermostat with all these bells and whistles, there are also some great basic thermostats offered by Lennox that are simpler and less expensive. Smart thermostats allow the user to create their own customized temperature settings which are based on various factors. These factors can include the user’s daily schedule, the current weather conditions, and their specific heating and cooling needs. Some smart thermostats will learn from the adjustments you make each day and later remain at the optimal setting where it feels you will be most comfortable. Others are programmable so that you may set the thermostat to be a certain temperature during the workweek, at night, or on weekends. When you decide to upgrade from your standard HVAC thermostat to a Smart Thermostat like those in Lennox’s iComfort line, you get to enjoy total comfort inside your home without worrying about a high electric bill. The reason why smart thermostats are considered better than the older manual version is because they have the ability to learn your daily patterns and where you want the thermostat to set each day. This means that once you leave for work each morning, and your house is empty for several hours throughout the day, your thermostat will be working also. Your smart thermostat will make sure that it remains at a temperature that uses less energy until you return home at the end of the day. Now that you know there is a Lennox thermostat out there for every type of homeowner, it’s time to find out more about these top-rated devices. Here are some details on the state of the art features found on many of today’s smart thermostats. This is a feature found on the comfort line of digital thermostats from Lennox. These thermostats are not considered programmable in the same sense that many of us are accustomed to. Instead of the owner manually programming the thermostat to work how they want it, a new Lennox smart thermostat with Schedule IQ learns how to adjust your thermostat for you based on how you use it. With this feature, you only need to program the thermostat one time and afterward, you may adjust the temperature up or down as needed to suit your comfort level. You can do this without the need to reprogram the device if your daily schedule happens to change. The thermostat logs the changes and incorporates them so that the schedule updates automatically. It will remain that way until you any future changes in the schedule are made. It only takes between one to two weeks for the Schedule IQ technology to figure out your schedule and the temperature range you prefer each day. And of course, you always have the option to manually adjust the thermostat to fine tune it. This is a great feature if you are interested in cutting down on your energy costs. Available on iComfort models, this feature uses GPS technology and an app on your smartphone to alert your Lennox thermostat that you are either leaving home or returning. The app causes the thermostat to adjust its settings to your preferred temperature depending on if you are home or away. While it can be a great feature, the fact that it can adjust temperature settings while other members of the household may still be at home can be a slight issue. The iComfort line of thermostats all feature an easy to use touchscreen panel that displays various details. It can provide you with access to a 5 day weather forecast for your area, as well as weather alerts and the current temperature outside. If you own an Alexa device from Amazon, it may be paired with the iComfort S30 and E30 models. When you have these two devices connected, it will provide you with a hands-free option for adjusting your home’s temperature. There are several Lennox thermostats on the market which can help you save on energy costs and make your home as comfortable as possible all throughout the year. Here are five of the top-rated thermostats made by Lennox for you to consider. The Lennox iComfort S30 Digital Thermostat with Geo-Fencing and Remote Access will help prevent high energy costs without sacrificing your level of comfort. This high tech thermostat is loaded with features designed to make your life easier. Setup is simple thanks to the iComfort easy user interface. And once it is up and running, you can download the iComfort Mobile Setup App that allows you to control your thermostat settings remotely. The iComfort S30 is compatible with all devices that feature Amazon Alexa. This means that you have the option to remotely control your home’s temperature using basic voice commands. You don’t even have to get up from the recliner. 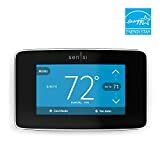 The Lennox iComfort S30 Digital Thermostat is available to purchase on Amazon.com for $595.99. One-Touch Away Mode: A quick and easy way to set the cooling and heating setpoints while away. The Lennox iComfort Wi-Fi thermostat allows you to keep track of and adjust your home’s temperature level from anywhere. Thanks to innovative Wi-Fi connectivity, you can change the temperature in your home and manage other thermostat controls by using the app on your laptop, tablet or smartphone device. Now you have the option to take control of your energy costs because you can adjust it even when you are away from home. It couldn’t be easier to get your home at the optimal comfort level, while you save money at the same time. This Lennox smart thermostat features the brand’s Away Mode that reduces system output while the house is empty throughout the day and sets the thermostat back to your preferred temperature once you return. The iComfort Wi-Fi Digital Thermostat from Lennox is available on Amazon for $428.99. For homeowners who are interested in buying a reliable thermostat that isn’t as complex, the ComfortSense line is the right choice for them. 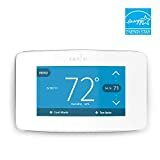 These programmable thermostats are more affordable than those in the iComfort line because they are not equipped with the same features such as Smart Away or Schedule IQ. But these digital thermostats still have plenty of great features that make them a useful addition to any home. The ComfortSense 7500 has a sleek, modernized design with a large digital touchscreen that is easy to read and use. You have the option to program the thermostat for up to 7 days or go with the 5-day/2 day versatile option. Additional features for the ComfortSense 7500 include Dual-Fuel capabilities, Away Mode, and useful Energy Reports. The device easily switches between heating and cooling output, based on the indoor temperature. The ComfortSense 7500 Lennox Thermostat is available on Amazon for $229.26. The COmfortSense 5500 Digital Thermostat from Lennox is another affordable option for homeowners who want the convenience of a digital thermostat in their home but prefer not to have a device that is too complex for them to use. This thermostat features a brilliant touchscreen with easy to read graphics and a user interface that is not difficult to use. The thermostat is programmable up to 7 days. It features One-Touch Away Mode, Energy Reports, Automatic Changeover and a simple setback recovery option that keeps the temperature inside your home exactly how you like it, when you want it. The ComfortSense 5500 Digital Thermostat from Lennox is available to purchase on Amazon for $198.03. The iComfort E30 Smart Thermostat from Lennox has a broad range of settings and features that can help keep your home cool in the summer and warm in the winter. Features include the “Feel Like” setting that is similar to what the temperature outdoors “feels like” according to weather forecasts. This allows you to set your thermostat at the ideal temperature so that you and your family may enjoy the optimal amount of comfort. The E30 also has an Allergen Defender that monitors the area’s pollen levels and air quality based on your zip code. The Perfect Temp feature allows you to set the thermostat at what you feel is the ideal temperature. And Smart Away Mode can help you save plenty on your energy costs if you spend a lot of time away from home. The iComfort E30 Lennox Smart Thermostat is available to purchase on Amazon for $468.99. The answer to this question depends on your experience level working with HVAC thermostat installation and wiring. If you do not have much experience in this area, it is highly recommended that you hire a qualified Lennox contractor to install and set up your new thermostat for you. They will be able to install the device in less time and answer any questions that you may have about using the product as well. Before you choose to purchase a smart thermostat, make sure that it will be compatible with your current HVAC system. You shouldn’t purchase a thermostat until you know that your HVAC system and your electrical wiring will be compatible with it. While most of today’s popular models will be compatible with the majority of all HVAC systems, it’s important that you double check to be sure. 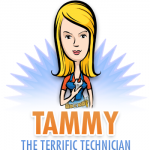 It is safe to say that Lennox is one of the most well-known names in the HVAC industry. So, it is not a surprise that the new line of Lennox smart thermostats is some of the best in the business. This modernized IComfort line of digital thermostats will bring your old HVAC system into the 21st century. But if you aren’t interested in Wi-Fi connectivity or touchscreens, you can also find some exceptional basic Lennox thermostats from the brand’s ComfortSense Line. Imagine coming home early from work to a warm and comfy house because you remotely adjusted your thermostat while you were still at the office. Today's newer homes often include an intelligent heating, venting and air conditioning (HVAC) system controlled by a smart thermostat. You can program detailed schedules that change automatically if you're not home. It's easy to track how much and when you use energy, so you can become more efficient and save money. You can also interact with your thermostat by voice and integrate it with the other smart systems that run your home. As you may know, there are many smart thermostats available today. Some are very basic, simply giving you the ability to program a variety of schedules and little more. At the other end of the spectrum, advanced units can learn your preferences and manipulate every aspect of your HVAC system. Most people appreciate something in between. In this review, we take a comprehensive look at the Emerson Sensi Touch Wi-Fi model ST75. This Emerson thermostat is an excellent middle-ground device, providing many smart features at a reasonable price point. Named the 'Best Overall' smart thermostat of 2018 by USA Today's Reviewed.com. An updated version of the Sensi Wi-Fi thermostat, the ST75 model includes a touchscreen and looks better on your wall. The outer case is available in either black or white. It has many features that make it worthwhile to upgrade your old thermostat, described in detail below. The touchscreen display on the Sensi Touch Wi-Fi is large and easy to read. It glows red when heating and blue when cooling, giving a quick visual indication along with the digital temperature readout. 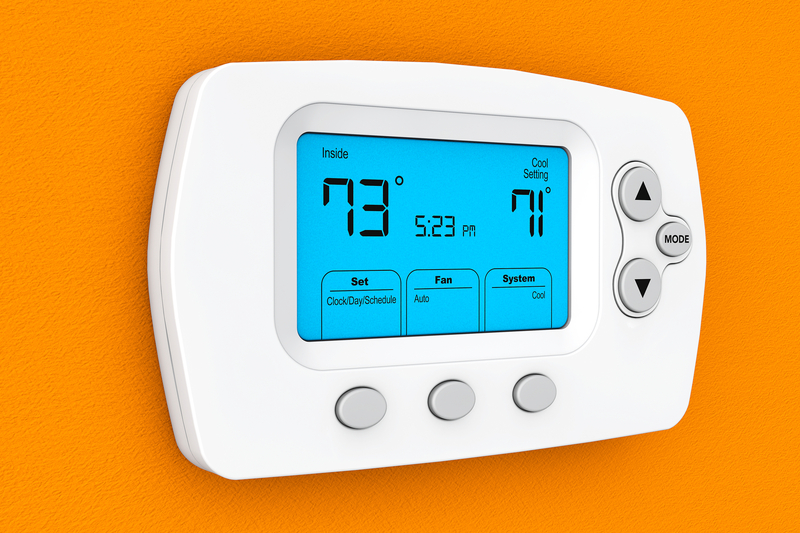 It's easy to navigate the menus by tapping the touchscreen and changing any of the thermostat's settings. You can program temperatures and schedules, set alerts and more, all without using the mobile app or a smart home assistant. 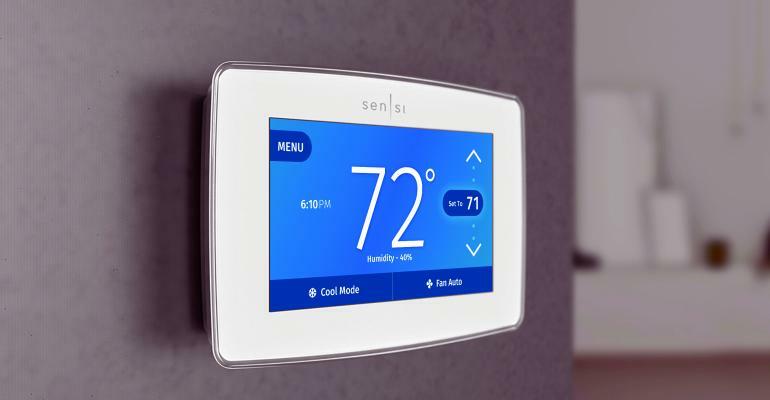 The Sensi Touch Wi-Fi includes a free mobile app so you can control the thermostat from your tablet or smartphone while you're at home or away. The app works with both Apple iOS and Google Android devices. Emerson has tried to make installation of this thermostat as easy as possible, even if you've never done it before. Just tell the mobile app which wires were attached to your old thermostat and it will configure the Sensi Touch to match. The app will guide you through the process, illustrating each step. To help with installation, the thermostat includes lighted wire terminals that are easy to click and a built-in level. 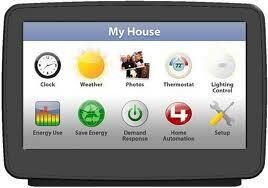 The Sensi Touch is designed to work with most home-based HVAC systems in the United States and Canada. 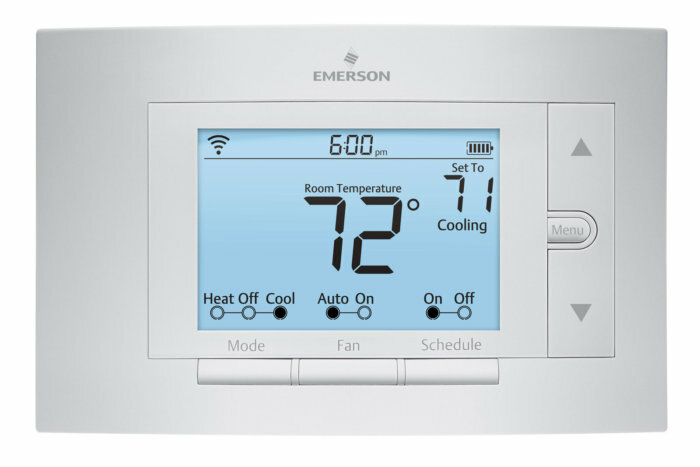 You can check the compatibility tool on Emerson's website to make sure that your climate control equipment and Wi-Fi router will work with this thermostat. It does require a common "C" wire connection to your HVAC system for operating power, unlike its predecessor (the Sensi Wi-Fi thermostat). Installing and using the Sensi Touch should be very straightforward. If you need help, though, Emerson's technical support team and online resources are available seven days a week. 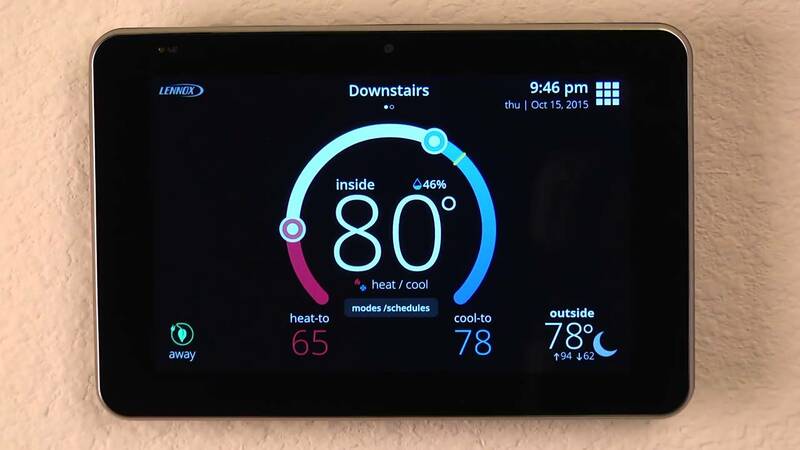 Using the touchscreen, your wireless device or a smart home assistant, you can quickly create custom cooling and heating schedules for each day of the week. This way you can tune your climate system to your work schedule and lifestyle, including waking up on a winter morning to a warm and comfy home. Alternatively, you can enable geofencing to automatically adjust the temperature programming when you leave and return. This Emerson thermostat determines your location based on how far from home your smartphone or tablet is. If it's more than three miles away, the thermostat adjusts the temperature by three degrees. When your wireless device returns to a distance within three miles of home, the temperature returns to its original setting in time for your arrival. The Sensi Touch does not have the ability to customize the "away from home" adjustment. You can't combine geofencing with custom schedules either; you must choose one or the other. The Sensi Touch Wi-Fi thermostat works with the major smart assistant/home automation platforms: Google Assistant, Wink, Amazon's Alexa and Apple's HomeKit. This allows you to control your thermostat from the assistant and fully integrate it with the operation of your other smart home devices. Most smart assistant platforms also enable voice interaction. For example, with Apple's HomeKit, you can control your home's temperature with voice commands to Siri on your iPad or iPhone. You can do the same with Amazon Alexa and Google Assistant using their voice capabilities. As mentioned earlier, Emerson's highly praised technical support team is available seven days a week by email and phone. If you need help outside of the team's support hours and you've reviewed the content in the Sensi Touch's mobile app already, check out the SensiComfort support website. It gives you 24-hour access to detailed support videos, helpful articles and downloadable content. You're sure to find something there to help you solve any challenge that arises with the Sensi Touch Wi-Fi thermostat. With the Sensi Touch Wi-Fi, you can set up smart alerts to let you know if something's not right in your home climate. In particular, extreme humidity and temperature measurements can be set to trigger these alerts. You can program these from the touchscreen, a smart assistant or the mobile app. This Emerson thermostat works with most existing home systems. 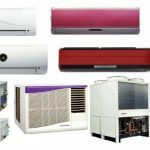 Heat pumps with one or two stages of cooling and up to four stages of heating (4H/2C) are supported. Conventional HVAC systems with one or two stages of cooling and one or two stages of heating (2H/2C) are also compatible. Cool-only and heat-only systems also work, as do radiant-heat units. Electric, gas, duel-fuel, oil and geothermal-based systems are all supported. There are a few types of HVAC systems that the Sensi Touch isn't compatible with, though. Electric baseboard and line voltage heaters don't work with it. Neither do millivolt (mV) systems or those which use a proprietary protocol to communicate or control them. However, if you add a 24-volt transformer to a millivolt system, you can make it work with the Sensi Touch. As mentioned earlier, a common "C" wire is required for all types of HVAC systems to work with the Sensi Touch. If you don't already have one in place, you can buy the Emerson Thermostat Common Wire Kit to help you install one. You can find out whether your HVAC and wireless systems will work with this thermostat by checking the compatibility tool on Emerson's website. If you need any help, their technical support team is available seven days a week. The Sensi Touch can be purchased on Amazon or from large home retailers such as Lowe's and Home Depot. As of this writing, prices range from $145.88 at Amazon to $169 (full list price) at Home Depot and Lowe's. A three-year manufacturer's warranty is provided by Emerson, along with a 30-day satisfaction guarantee. Technical support is available by email or phone seven days a week, and their website includes many helpful videos and instructions for common questions. The Sensi Touch's mobile app also includes a step-by-step illustrated thermostat installation guide. If you're upgrading an old legacy or programmable thermostat, you may not be familiar with all of the features available with today's smart thermostats. You should be aware of how the Sensi Touch stacks up against some of its competitors so you can make an informed purchase. The NS Nest Thermostat is a good smart learning thermostat. It goes one step further than a regular smart device: Over time it observes how you adjust the system and tries to automatically anticipate your needs. Unlike the Sensi Touch, this thermostat can keep the climate in different rooms balanced by monitoring remote temperature sensors throughout your home. It doesn't have a touchscreen display like the Sensi Touch, so it's not as convenient to adjust the settings if you're standing in front of it. It doesn't support as many smart home assistant platforms as the Sensi Touch, either (Apple's HomeKit is the major one missing). It is Energy Star rated though, which the Sensi is not. The NS Nest Thermostat has superior geofencing capabilities, more accurately determining your presence by both wireless device proximity and presence sensors. The temperature to be maintained when you're away is programmable; it doesn't simply adjust the temperature by three degrees like the Sensi Touch. It also reports on your energy use over 10 days and informs you when you choose a thermostat setting that saves money. According to Nest, no common "C" wire connection is needed in most cases. The Nest warranty is limited and only lasts one year, not as good as Emerson's three-year warranty on the Sensi Touch. Like the Emerson thermostat, the Honeywell Lyric T5 is a smart device that requires a common "C" wire for power and relies on phone-based geofencing. Alternatively, you can schedule climate control for sleep, away, wake-up and home periods every day, or just on weekdays or just weekends. It doesn't support as many smart home automation systems as the Sensi Touch does (it's missing the Wink platform, in particular). Like the Sensi Touch, the Lyric T5 does not provide energy reports or utilize remote temperature sensors. It is Energy Star rated, though, like the Nest Thermostat E. The Lyric T5's two-year limited warranty is not as good as Sensi Touch's three-year, but is better than Nest Thermostat E's one-year warranty. The Lux Kono smart thermostat doesn't support the Wink home automation platform, but is compatible with Amazon Alexa, Google Assistant and Apple's HomeKit, so overall it supports fewer of these platforms than Emerson's Sensi Touch Wi-Fi. It has a limited energy-reporting feature (which the Sensi Touch does not have) that tells you how much your energy costs will decrease or increase when you change the temperature. Like the Sensi Touch, its geofencing feature is based only on the proximity of your wireless device and it doesn't utilize remote temperature sensors throughout your home. The Lux Kono can control multiple types of cooling and heating systems, but not as diverse a variety as the Sensi Touch. 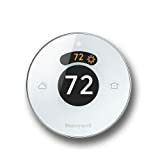 Unlike the other thermostats reviewed here, it includes a power bridge that connects to your HVAC system for its operating power instead of using a common "C" wire. The Lux Kono comes with a three-year limited warranty, better than the Honeywell and Nest thermostats above, but still not as good as the Sensi Touch Wi-Fi. One caution if you decide to purchase this one from Amazon: it also lists a less expensive "unauthorized" version of the Kono which doesn't support any smart home assistant platforms at all. The Emerson Sensi Touch Wi-Fi is an excellent smart thermostat for most people. It provides a good mix of features for the price. It's also easy to use, has a superior display and controls, the best warranty, and it supports a large number of HVAC systems and smart home assistant platforms. The other thermostats here are also good choices, depending on your specific preferences and needs. A smart Emerson thermostat like the Sensi Touch Wi-Fi will be a vast improvement if you're upgrading from a legacy programmable or analog thermostat in your home. Thermostats have come a long way from simple manual HVAC controls. This article explores the two main categories today, programmable and smart, and recommends the best thermostat in each. Why buy a new thermostat? Why limit yourself to simply raising or lowering the temperature when you feel uncomfortable? 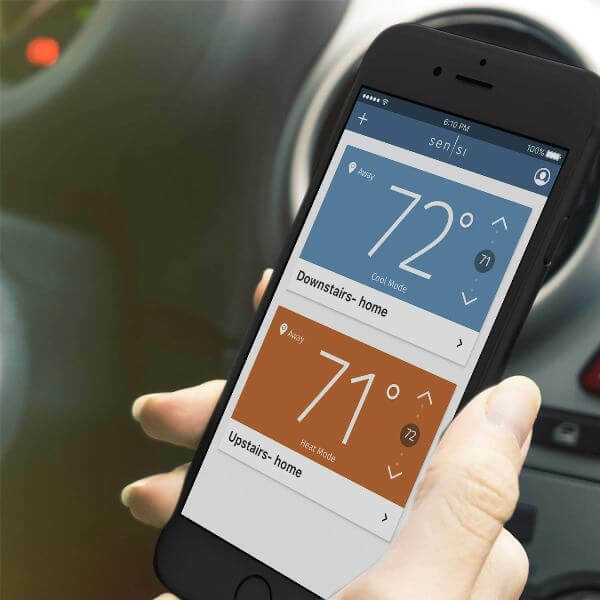 The best thermostat allows you to enter complex heating and cooling schedules that anticipate your presence, access your thermostat remotely or by voice, integrate it with the rest of your living environment’s control systems, and track efficient energy use. It can even learn your temperature preferences automatically. A basic thermostat that allows you to manually enter a simple schedule of days, times and desired temperatures throughout the week. These devices often support less complex HVAC systems and have few extra features. They are quite economical compared to smart thermostats. A smart thermostat provides remote wireless access to your HVAC system, integration with other smart devices and assistants, intelligent energy data collection and display, creation of more complex schedules that automatically adjust if you’re not at home, and generally enable the most efficient use of your HVAC system. A smart learning thermostat goes one step further by observing how you manually adjust the system over time and anticipating your needs automatically. All the thermostats in this article can be purchased on Amazon. Many are also available from local hardware stores or large retailers, such as Home Depot, Best Buy or Walmart. The best thermostat price depends on many factors, including the brand. 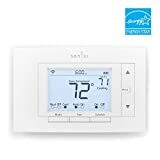 The programmable thermostats in this article are priced under $70.00 while most of the smart thermostats are under $200.00. These thermostats were carefully reviewed for ease of use, range of HVAC equipment and smart assistants supported, remote access, geofencing capabilities, use of remote temperature sensors, recording and dispensing of historical energy use data, and price for the features provided. Customer reviews and the maker's brand were also considered, resulting in a one to five star rating for each unit. All the thermostats reviewed are priced from $35.00 - $250. Both list and Amazon prices are shown when available. The Nest Thermostat E is not only a smart thermostat, but a learning thermostat. It monitors the changes you make to your cooling and heating settings over time, then does what it thinks you prefer. It starts this process from a common schedule rather than a blank slate, which reduces the learning time required. This smart yet simple thermostat can utilize remote sensors to keep the temperature in different rooms as balanced as possible. It also provides a 10-day energy use history and lets you know when you choose a temperature that saves you money. When it determines that you’re away from home (through a combination of smartphone and presence sensor based geofencing), it can interrupt its schedule so you’re not heating or cooling an empty house. Voice interaction, wi-fi and other smart assistant features work with Google Assistant and Amazon Alexa. The Nest Thermostat E is rated by Energy Star, and it doesn’t require a “C” wire to operate in most cases. It’s also smaller, lighter and less expensive than the slightly more advanced Nest Learning Thermostat. This Nest device is also a smart, learning thermostat like the Nest Thermostat E. It has a higher resolution (480x480) color screen that you can see across the room. You can choose between temperature, weather and clock faces for the default display. When it begins to learn your preferences, it starts with a blank slate rather than a common preset schedule. This third-generation thermostat supports more complex HVAC systems, including those with humidifiers, three-stage heating and similar equipment. The thermostat case is also available in four different colors. In all other respects, it’s identical to the Thermostat E.
Product requires C-Wire, unit will not work without it. Honeywell’s Lyric T5 smart thermostat is also Energy Star rated. It uses geofencing to determine when you’re away, though it relies only on your phone being out of range (no presence sensors). Alternatively, you can program times and temperatures for four periods: Sleep, Away, Home and Wake Up. These can be set to occur every day, on weekdays only or on weekends only. The T5 integrates well with Apple’s HomeKit, as well as Google Assistant and Alexa. It does require a “C” wire for power. Like most of the other smart thermostats reviewed here, the Lux Kono works with Alexa, HomeKit and Google Assistant. It includes geofencing based on the proximity of your smartphone to tell if you’re at home. It also helps you save money by telling you how much your energy costs will go up or down each time you change the temperature setting. The Lux Kono does not require a “C” wire, instead using a power bridge that connects to your HVAC system. Like the others reviewed here, it can control multiple heating and cooling devices. Be sure to purchase an authentic device as Amazon also lists an “unauthorized” less-expensive Lux Kono that does not work with smart assistants. The Ecobee4 is a smart thermostat loaded with features. Its remote temperature sensors include motion detectors so the Ecobee4 can adjust the temperature as you move through the house. In addition to Alexa, Google Assistant and HomeKit, it also supports other smart assistants, including SmartThings. The HomeKit integration provides easy thermostat control from an iPhone or Siri. An Alexa smart speaker/mic is built into the thermostat in case you don’t have an Echo or Echo Dot speaker already in the same room with your thermostat. You can ask Alexa what the temperature is at remote sensors, program your schedule and find out which HVAC equipment is running. With the Ecobee4, you can use geofencing in place of a fixed cooling and heating schedule. When you’re away (determined by presence sensors and the proximity of your smartphone), geofencing will change its schedule to something more appropriate for an empty home. Like many smart thermostats, the Ecobee4 is Energy Star rated. It provides detailed energy reports after accumulating usage data for the first month. It does require a “C” wire, but if you don’t have one, it includes a power extender kit that you can connect to your HVAC system instead. The Emerson Sensi Touch is a smart thermostat with basic features. Those include phone-based geofencing that lowers your temperature setting by three degrees if it thinks you’re away from home. The Sensi Touch integrates with Alexa, HomeKit and Google Assistant. It does require a “C” wire for operating power, and like the others reviewed here, it can control multiple heating and cooling devices. The Honeywell RTH6450D1009/E1 is a conventional programmable thermostat. Using the physical up/down arrow keys and buttons, you can program a heating/cooling schedule. Three different schedules can be entered: one for all weekdays, one for Saturdays and one for Sundays. It automatically pre-heats or pre-cools your home to the temperature you set at exactly the desired time. It doesn’t require a “C” wire, but NiMh batteries are needed. Biggest size display, Easy-to-use touchscreen menu operation. 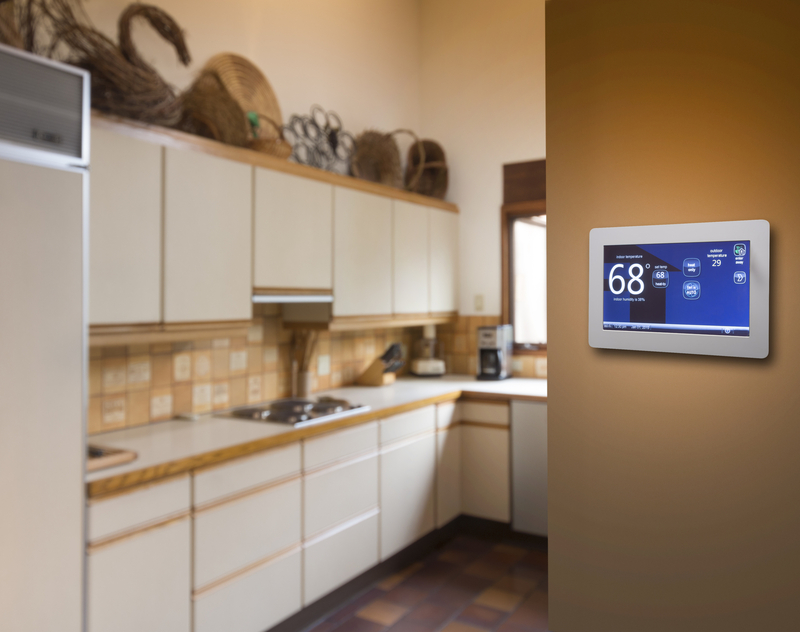 The Lux TX9600TS is a simple touchscreen programmable thermostat. Each of seven days can be programmed individually, with two or four periods per day. You can set temperature limits, monitor energy and air filter usage, temporarily override the current temperature, and set a four-digit code to lock out unauthorized users. This thermostat can control up to two stages of heating (no electric baseboard heaters) and one stage of cooling. No “C” wire is required, but batteries are. The Honeywell RTH8500D is a programmable touchscreen thermostat with a seven individual day schedule. It automatically pre-heats/pre-cools your home to the desired temperature. You can also monitor air filter usage time and set up a vacation hold to pause your schedule until you return. This thermostat can control up to two stages of heating (no electric baseboard heaters) and two stages of cooling. The RTH8500D does require a “C” wire for its operating power. The Lux TX500U is a conventional programmable thermostat with physical buttons instead of a touchscreen. You can program a weekday and a weekend schedule for your HVAC system, with two or four periods per day. It automatically pre-heats or pre-cools your home. You can set a vacation hold for up to 30 days, track the air filter usage and set a code to prevent unauthorized use. This thermostat can control up to two stages of heating and one stage of cooling (no electric baseboard heaters). It doesn’t need a “C” wire, but does use AA batteries. Among the six smart thermostats reviewed here, our recommendation for best thermostat is the Nest Thermostat E. It provides the best combination of modern features and ease of use for the price. The other five smart thermostats are also good, and one may be a better fit for you, depending upon your specific needs. Of the four simple programmable thermostats reviewed, the Honeywell RTH8500D has the most features, but all get the job done for an economical price. 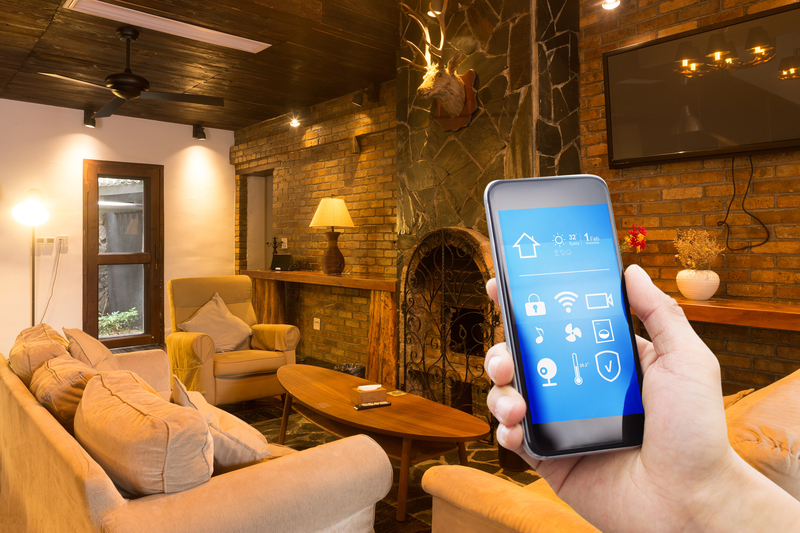 Home automation is the latest trend and it makes perfect sense that it should be. After all, this is the year 2015, when online connections and Wi-Fi networks are readily available to most middle income earners. And since most such people are busy professionals, it is absolutely reasonable for them to want to come back home to a perfectly heated home. 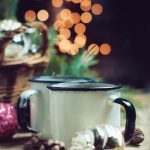 However, as is the case with most other electronic gadgets out there, sometimes the range of choices can get a bit overwhelming. This is why today’s post is a guide meant to help you sail through the options and decide which smart thermostat is the right one for you. We’ve ranked the best of the best below, based on temperature control, energy management, design, setup, and support. 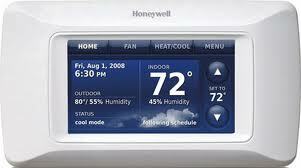 The Honeywell Lyric thermostat is probably your best bet, when it comes to finding the right programmable device. It’s averagely priced and comes with great customer support feature. In fact, Honeywell lives up to its name in this sense, since they’ve been acknowledged for this quality for quite a while now. It’s impeccably designed (another Honeywell staple), and does a great job at managing your home’s energy resources and controlling temperature. It supports up to three stages of heating and works well with most HVAC units available on the market at the moment. It also has a feature that determines the optimal temperature based on humidity and the weather outside. The only negative aspect to the Lyric Thermostat is that its app may prove a bit difficult to use, especially for those who are not exactly technology literate. The Nest Learning Thermostat was actually one of the first products in its category to emerge on the market, as early as the end of 2011. Here was a product that combined home security with automation, all with environmental protection in mind. By far the most unique aspect about this thermostat, which actually comes with a higher price than the Lyric Thermostat, is that it will come to learn your preferences in time – hence its straightforward name. It’s well designed and comes with a great help and support team; there’s really just one snag to it, which detracts from its potential and has it pegged at number 2 on our list. It has a two year warranty, which is shorter than the industry average. The Wi-Fi-ready Ecobee3 thermostat will give you a hint as to what its manufacturer’s priorities are. This is a company that is genuinely cares about protecting the environment and this is also easily noticeable from the design and features of its flagship programmable thermostat. The Ecobee3 comes with not 3, but 4 temperature control stages. It also has a remote sensor, which will allow you to better manage the energy expenditure of your home heating system. The central user interface has a slightly different design from that of most other products in the same category, but this is not to say that it is at all worse. It’s simply in a league of its own in this respect. The only problem with this otherwise great thermostat is that it does not provide geofencing support (i.e. changing the temperature in your home based on the location of your home). Unlike the previous three entries on our list, this one comes from a less known brand. However, it performs so well in most respects that we just had to include it. With it, you have complete control over your home environment and the device is also Wi-Fi ready. It can also be programmed via the user-friendly interface and, although it comes with a lower number of thermostat sensors than the other contenders in this chart, it still provides great temperature control in three distinct stages. It also supports geofencing, which can be adjusted to best suit your needs. However, just like with the Nest Learning thermostat, there’s a problem in terms of warranties with this device. Its manufacturer only offers buyers a one year guarantee. Unlike the Lyric Thermostat from Honeywell and most of the other brands on our list, the Ecobee Smart Si comes with no light and motion sensors. In plain English, this means that the thermostat can only be used to adjust your heating and cooling system and does not, in fact, allow you to program other things in your house. Indeed, it does a very good job at this, by collecting data from your specific HVAC systems and adjusting its settings based on it. Also on the plus side, the Ecobee Smart Si thermostat has an awesome mobile app, which has been clearly designed with the consumer in mind. The app and the design of the thermostat’s user interface make this one of the friendliest and easiest to program thermostats out there. Now you can buy a Wi-Fi thermostat” (or “ip thermostat”, “internet thermostat”, etc.) which allows you to control your thermostat settings remotely, it can be controlled from a computer or even your iPhone or Smartphone! 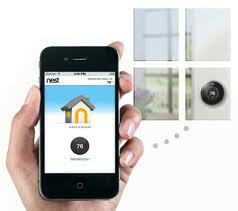 With the use of smartphones and laptops now there are ways to put them to work for us in controlling our thermostats. Many companies are putting resources toward creating home wireless thermostats that can be controlled with a Smartphone or computer. Now you can adjust the temperature even when you’re away from home, allowing you to control your heating and air conditioning temperatures and save money no matter where you are. Scheduling when to heat or cool your home is environmentally friendly, saves you money and is easy to do. The easiest way to reduce your energy bills is to lower your thermostat when the house is empty. For people who work most of the day, set your thermostat much lower (or higher for cooling) during the hours you are gone. Then have a more comfortable temperature kick in about half an hour before you arrive home. The Wi-Fi thermostat allows you to schedule heating and cooling using a connection to the Internet from a home broadband connection, Utilities can also operate demand response programs through the thermostat, where consumers get a rebate for allowing the utility to change thermostat settings to lower energy use during peak times. The hope is that easy-to-use Smartphone and tablet apps, which let people remotely, control their heating and cooling, will increase the participation in efficiency and demand response programs. The arrival of popular Wi-Fi thermostat and apps to program thermostats helps make them more consumer-friendly. Once properly installed, the radio transmitter chip inside the thermostat allows you to connect to your laptop or iPhone using your Wi-Fi network. You are then able to control the thermostat remotely. Even with the thermostats technical advances, it works with all modern central air conditioning units, making it compatible with your home no matter how old. A top-ranking Wi-Fi thermostat should be able to schedule a variety of preferred temperatures based on several weekly or daily programs, such as a seven-day schedule or a weekday and weekend program. The best Wi-Fi thermostats have a sleek, modern look and are easily integrated into most home designs. Top-ranking thermostats have a touch screen display. The best Wi-Fi thermostats have advanced features, such as multiple heating and cooling stages, vacation features, a clock, a humidity sensor, an outside temperature display, and compatibility with a mobile app. It offers internet connectivity via Wi-Fi, mobile apps for remote management, and “learning” features that let it auto-program itself based on your habits. The best Wi-Fi thermostats are backed by a strong warranty. Manufacturers should offer FAQs, online support forums, and installation documents and other helps on their websites. The Wi-Fi thermostat tends to be expensive. They retails from $200 to $500 depending on the model and features you want. Some models require a professional contractor to come and install so they can get expensive. Almost any smart thermostat will require more money at the outset than a simple programmable model. Some are designed so you can install them yourself. Are programmable thermostats worth the cost? 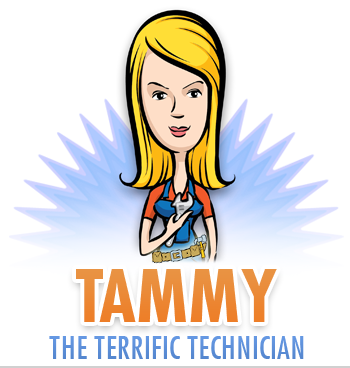 Q: Tammy I’m a single guy and don’t spend much time at home, would it be worth it for me to have a programmable thermostat installed? A: I should just pinch your hinny hard for asking such a question. A programmable thermostat is ideal for people who are away from home a lot or have a set schedule. According to the Department of Energy you would save about 10% on your heating and cooling bill which is around $180 on an average home per year. There are several different types and styles. You can program for five to seven days depending on your schedule. You can program for energy savings temperatures while you are away and asleep. The new digital screens are easy to program and read. I have the latest and greatest in my house with a remote control that even tells me the outdoor temperature, humidity and when to change my air filter. My recommendation is Honeywell products for their longevity and reliability. You can buy programmable thermostats on line, or at your local home improvement store. They do come with installation instructions and many have live tech support if you need help. You may need to purchase according to the type of heating and cooling system you have (gas, electric, heat pump or single or two stage), because that effects your wiring. Some thermostats will work with any type of system; you just need to program and wire accordingly. Be sure to read the box carefully before you purchase. This is where you get what you pay for. The cheaper the thermostat, the fewer features you will get possibly making it less user friendly and not as accurate. Some manufacturers do not sell their top models to the public, only to contractors. However, contractors and technicians install these thermostats and program them every day so they may give you access to a better selection and save you some aggravation depending on how handy you are. Sensi Wifi Thermostat Reviews: What Makes It Unique? Chances are that you’ve seen Nest thermostats with their ultra-sleek round design that seems perfectly fit for a contemporary living room. It may even be the preferred look for a commercial space, but is that the design that you want for your home? 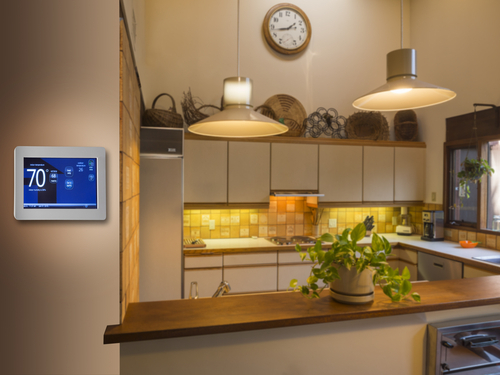 There are plenty of reasons why this may be the perfect way for you to go if you want to jump on board the smart thermostat train, especially if you want something simple. As it is far more affordable than many of its counterparts, the Sensi still connects flawlessly to other smart devices making it easy to integrate into existing smart infrastructure. It’s also extremely user-friendly, which is a definite plus if you want to set it and forget it. What Is a Sensi Wifi Thermostat and How Does It Work? What Makes Sensi Wifi Thermostat Unique? Beneath its seemingly plain demeanor, the Sensi wifi thermostat will surprise you with what it can do. While not exactly full of that “wow” factor, it can still compete alongside other smart thermostat veterans like Nest and Honeywell. Emerson’s Sensi does not replicate more modern designs and instead is reminiscent of thermostats of yesteryear with its rectangular design and simple interface. Even still, the buttons are quick to respond, the display is supremely readable, and it works with Alexa, too. Installation is also easy for the DIYer. You can just as easily pull off your old thermostat off the wall and connect the Sensi without any issues because it doesn’t need to connect to the C-wire to function properly. The only exception is if you will be connecting the thermostat to a heat pump system. The simple design makes it easy for just about anyone to use. The associated app is also extremely user-friendly, as is the web portal. This smart thermostat will do what it is meant to do – control the temperatures in your home at the touch of a screen. As a bonus, the Sensi wifi thermostat is also compatible with multiple systems including gas, radiant heat, and even geothermal systems. You can set the system up to work with up two different cooling stages and four distinct heating stages, too. There are systems that are not compatible with the Sensi, so you’ll want to verify whether or not yours will work. Examples of systems that are incompatible include things like proprietary designs, in-floor systems, and certain wall systems. If you’re not sure, you should contact Emerson for more information to find out, so you don’t accidentally hurt your system or your new thermostat. In a world full of hype and things that look modern and end up costing more, Sensi is a sensible option in smart thermostats. With a company like Emerson behind it, this thermostat has a solid background of HVAC units to work with. Most of the other smart thermostat companies are newer and don’t have the history that Sensi does with Emerson. Some of the other perks of the Sensi include the way that they don’t need extra wires. It works without needing a C-wire unlike other systems, and it will still pull the necessary power to make it function correctly. The only reason you’d need to consider a C-wire is if you had a system that was dedicated to heating or cooling only. You can also program days individually which is great if you’re going to need to have a different set up at random days of the week. This scheduling is easy to access, too, via the app or the web portal. You can even change it multiple times a day if you wanted to. Most of the other smart thermostats learn your routine, but with Sensi, you tell it exactly what you want regarding temperatures and times of the day. If you need to override one setting with another, that’s also easy to do with the tap of the screen. Pricing for the Emerson Sensi wifi thermostat is considerably less than its counterparts. You can find it on Amazon for less than $140 complete with Prime shipping. As great as the price is, do keep in mind that there are some key features that are missing from the smart thermostat like motion sensors. The lack of certain features likely helps in keeping the price far more reasonable than other similar thermostats out. There are features that the Sensi has, though, that you will appreciate. As an example, you can link Alexa to your Sensi so that it can talk to your thermostat. Then you can instruct Alexa to change the degrees as needed. It doesn’t get much easier than that. With every purchase, your Sensi will also have a three-year warranty that covers the thermostat. If you were to opt for professional installation, you could get an extra two years added to your warranty coverage. There are over three thousand reviews on Amazon for the Emerson Sensi wifi thermostat. According to the stats, 65% of these reviews are 5-star commentary and reports. 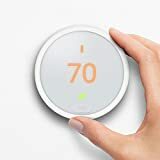 Named the 'Best Value' smart thermostat of 2018 by USA Today's Reviewed.com. Compared to others in the smart thermostat market, the Sensi wifi thermostat is basic and easy to operate. The design is well-suited for all sorts of people from the older generation to the younger tech-savvy generation. It is easy enough to use for people that hate technology because of its intuitive design. You might even say it’s easier than programming a VCR – okay, easier than starting a YouTube channel. If you really want something that looks a bit more modern and less like a traditional thermostat, you do have another choice. Back in 2017, Emerson introduced the Sensi with the color touchscreen. Functionality remains the same, but as far as looks go, it’s a step up towards a more contemporary design. Going with the color touchscreen can lead to a problem with reading the display thanks to a somewhat glossy display, but it’s still not that difficult to read if you have the brightness all the way up. This is a marked difference from the Nest which has the clear, large, blue display that you are ready from across the room. The app is also extremely user-friendly, unlike some of the other apps that are out there for some of the other smart thermostats. One of the features of the app is the way that you can adjust the temperature as much as you’d like without any issues. The only downside, if you can call it that, is that the Sensi will not learn your daily schedule. Honestly, though, that’s not something you necessarily need. That doesn’t happen with the Nest. You have auto-programming that you have to deal with on the Nest, plus it requires more effort to change the temperature than the Sensi. Truthfully, unless you just like being on the cutting edge of all kinds of tech, the Sensi will do exactly what it is supposed to do without any unnecessary bells and whistles. At the same time, there are other systems out there that also incorporate using Alexa like Nest and Ecobee3. These models, though, are much more expensive than the Sensi. It’s a no-brainer to go with a Sensi because it is easy to work with, doesn’t cost a fortune, and is ready to go as soon as you plug it in and configure it. We think the Sensi wifi thermostat is a solid choice for a smart thermostat. The app makes life easy for you, and it gives you plenty of information. As an example, you can see the expected highs and lows for the day in addition to the current temperature for where you are. The bottom line is that the Sensi is a fantastic option if you want a smart thermostat that you can connect to via wifi. The fact that it comes from a company like Emerson speaks volumes of what you can expect in terms of quality as a product. You won’t have access to a history of usage reports, but unless you’re one of those people that is obsessed with knowing what the temperatures are at any given time of day, it’s just not an essential feature. We feel confident that you don’t really need to have anything more than what the Sensi has to offer. If you decide to go with it, weigh the reviews so you’ll get that warm fuzzy about making the best choice for yourself. With the exception of the occasional network drop, which might be user error, you should be satisfied if you decide to move forward with the Sensi. If you’re like most people, you love the feeling of walking into a room that feels like it’s the perfect temperature. It’s a great relief from scorching heatwaves of summer, the ice-cold days of winter, and the wet, dry, and humid days in between. Who wouldn’t want that perfect-temperature feeling in the comfort of their own home? Perfect temperature desires are the reason thermostats for homes and offices have been a popular purchase in the modern world for decades. However, there are so many thermostat brands on the market today that many people become overwhelmed when making a purchase decision. One thermostat brand that has been popular for over a century is Lux. The company is so popular, in fact, that it sells over 1 million thermostats each year. Lux is headquartered in Philadelphia, Pennsylvania, and also manufactures timers, smartphone apps, and other power accessories. The latest Lux thermostat to be released is the Lux KONO Smart Thermostat, which has currently sold over 16 million units. 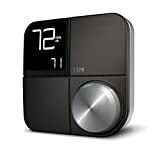 This article will provide an in-depth review of the latest Lux thermostat, including its features, specifications, pros and cons, price range, and comparison to competing brands. The Lux KONO Smart Thermostat is probably best known for being Wi-Fi and smartphone compatible, as you can control the temperature of your home from virtually anywhere. You can also voice-control this thermostat with Apple Home Kit, Google Assistant, and Amazon Alexa. Its sleek, elegant outer design makes it stand apart from most other thermostats on the market, and it comes with the option of 11 interchangeable decorative color plates to effortlessly match the style of your home. This thermostat also features several energy-efficient settings and usage reporting modes. If purchased directly from the Lux website, buyers can expect to pay $152.99 plus shipping and handling for the Lux KONO Smart Thermostat. This is actually slightly above the manufacturer-suggested retail price of $149.99. There is also a rebate available from the Lux website for up to $150. The Lux KONO can also be purchased from Walmart for $149.99 and eBay for about $90. You can also buy “unauthorized” versions on Amazon for about $95, but they will not be compatible with Wi-Fi, smartphones, or any other smart devices. The Lux KONO Smart Thermostat is clearly a frontrunner in thermostat sales around the country, but it still has some tough competition in terms of sales and customer recommendations. To get a better picture of how the Lux thermostat compares to comparable brands, we researched the most popular models of three other thermostat brands to see how they stack up against Lux. Honeywell has been a popular thermostat and home appliance brand for several decades. This particular Honeywell thermostat is compatible with Alexa for voice control, though the Amazon Alexa device is sold separately. This thermostat is also ENERGY-STAR certified and can be controlled via a seven-day scheduling program or by a process known a geofencing, which controls temperature based on location. 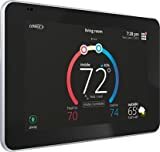 While you can purchase the Honeywell thermostat on Amazon for just under $100, it’s also available from other online retailers for varying price ranges. For example, eBay has the same thermostat on sale for just $69.95, while Newegg.com and Crutchfield PLA selling the same thermostat for $149.99. 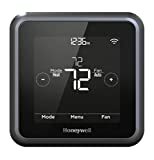 There are other online retailers that have the Honeywell thermostat on sale for about $130. Once the thermostat is set up and ready for use, most people don’t have a problem with it. The touchscreen interface is remarkably easy to use and understand, which is good news for people who want to utilize features like geofencing or the seven-day temperature preset. If you know how to connect the thermostat to your home or office Wi-Fi, the overall use of the product shouldn’t be too much trouble. Most customers have commented on the fact that this Honeywell thermostat is pretty easy to assemble, install, and connect to your home network. As long as the user’s IP address is dynamic, not static, and the Wi-Fi’s security protocol is correctly set, the assembly time for this thermostat should be minimal. If users have trouble installing the Honeywell thermostat on their own, there is always professional help available from experienced HVAC technicians. At first glance, the Honeywell thermostat is a sleek, modern-looking piece of equipment with touchscreen capability and an overall minimalist design. The thermostat is also designed to conserve energy when you’re away from home, which is a clear sign of the thermostat quality being above average. 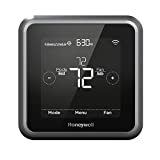 While Amazon states that this Honeywell thermostat comes with just a one-year warranty, the Honeywell website’s warranty policy states that the warranty lasts for 60 months, or five years, from the date of installation. If the product is defective due to materials used or workmanship problems, it gets returned to Honeywell and is either replaced or credited to the buyer’s account. All other Honeywell products fall into the 12-month or one-year warranty category. 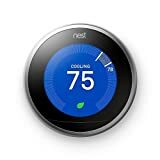 Another popular thermostat brand on the market, Nest is known for its minimalist thermostat design and ability to control temperature through your smartphone or other smart device. 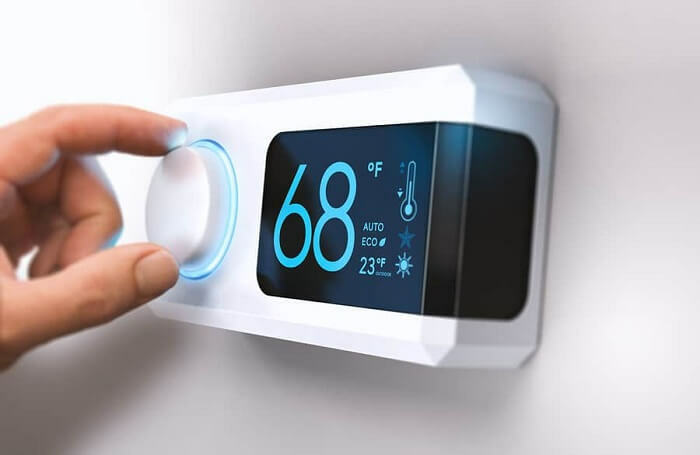 A popular slogan with this device is that it “programs itself, then pays for itself” due to the thermostat’s energy-efficient status and high-functioning, almost A.I.-like capabilities. Nest thermostats are available in four different colors. At $249 for a single thermostat, the Nest-brand thermostat is among the most expensive thermostats featured in our review. You can even purchase this thermostat in a two-pack for $448, which would save you about $50. Some online retailers have the Nest thermostat available for about $220. If you’re looking to save money or stay within a specific budget, you may be better off purchasing a cheaper thermostat like Lux or Honeywell. What’s remarkable about the Nest thermostat is that people who normally have no experience installing technical or electrical equipment in their homes will most likely have an easy time correctly setting up this thermostat. 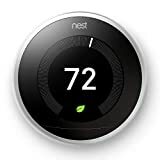 Once the thermostat is installed, all the user needs to do is connect it to their home or office Wi-Fi and the Nest thermostat will be ready for use. The Nest thermostat is arguably one of the more eye-catching thermostat designs on the market today. Its stainless-steel materials, easy turn-dial operation, and LED interface work together to create a smooth, sleek aesthetic for your home or office. However, this thermostat is known to occasionally short out on users and remain defective. Nest thermostats come with a limited two-year warranty for defects in materials and workmanship from the date of delivery, and a one-year limited warranty if the thermostat is a refurbished model. If a Nest professional technician installs the product for you, you’d be eligible for an additional three years added to your warranty. All in all, we believe it’s a pretty good warranty for a thermostat. Ecobee is an up-and-coming thermostat brand. The Ecobee4 Smart Thermostat comes with built-in Amazon Alexa Voice Service, meaning you can have your thermostat perform the many skills and abilities that Alexa has become known for, like fulfilling everyday tasks and letting users know important information about the day. The thermostat also includes a room sensor to manage any hot or cold spots in your home or office. The Ecobee4 thermostat is available from the Ecobee website for $249, making it the same price as the relatively expensive Nest thermostat. 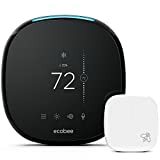 You can also purchase the Ecobee4 thermostat for slightly cheaper on Amazon for $243.95, which includes free one-day shipping if you’re an Amazon Prime member. By all accounts, the Ecobee4 thermostat is very easy for the majority of customers to use and program to their desired specifications. The remote sensor on the thermostat is also said to be incredibly helpful with averaging the temperature out between all rooms in the house. Additionally, customers who are already familiar with how Amazon Alexa works will have an even easier time getting used to the Ecobee4 thermostat. This thermostat is about as easy to install and set up as the rest of the thermostats in our review. If you’re not confident in your thermostat-installing abilities, consider hiring an HVAC professional. You’ll have to spend more money, but the peace of mind of knowing your thermostat is correctly installed may be worth it. At first glance, the Ecobee4 thermostat is a stunning little device with impeccable but minimal design. Its touchscreen LED interface is effortlessly smooth enough to remind users of the ease of the smartphone experience. The Ecobee4 Smart Thermostat features a three-year limited warranty. The warranty covers defects in materials and workmanship under normal use and service. It’s not as good as the Nest thermostat’s warranty offering, but it’s pretty close. It’s hard to deny that Lux makes high-quality thermostats, the Lux KONO Smart Thermostat included. However, it’s not a perfect device according to many customers, and customer experiences vary in terms of quality and performance. Like most electronic devices, the Lux KONO thermostat has its general upsides and downsides. One of the most talked-about positives among consumers is the Lux KONO thermostat’s elegant, stylish design and customizable appearance. Most customers also report that this thermostat is easy to install and set up. Another popular upside to the Lux KONO is the Wi-Fi compatibility complete with the support of multiple voice platforms. There aren’t many downsides to the Lux KONO thermostat. However, according to a considerable number of customer reviews, the Lux KONO doesn’t integrate with smart home devices other than Google, Apple, and Amazon Alexa. Some customers also complained of the thermostat’s lack of external room sensors and IFTTT support. If you want a convenient, sleek, futuristic, and environmentally conscious way of controlling the temperature in your home, the Lux KONO Smart Thermostat is one of the best choices out there today. Not many thermostats let you color coordinate with the décor of your home, so it’s nice that Lux made a product that could step up to the challenge of replacing the standard, boring white thermostats with tons of buttons. Although it isn’t compatible with every smart home device currently on the market, it’s nice for most consumers to know that the Lux KONO still connects with Google, Apple, and Amazon devices. Setting up the Lux KONO is also incredibly easy, making it a worthwhile addition to the electronic devices in your home. Today, we’re going to talk about how to install a Nest thermostat, since many people find themselves needing to do it. If you didn’t know, these thermostats are the ones that learn what temperatures you like around the house. It learns by recording when and how you change the temperature. Once you do this for a few days, the thermostat will automatically start doing it. It can also sense when you’re not home and go into energy saving mode, as well as making different rooms different temperatures depending on what you set the sensor to. While the sensors are sold separately, you can buy one for each room so they all have the right temperatures. There are a few reasons why you might be interested in getting a Nest thermostat. For starters, if your child likes their room cool but you like the rest of the house warm, this thermostat will let you achieve both. Another reason why you might be interested in this thermostat is that you want to reduce your energy bill and be more eco-friendly. The reason this thermostat can help you do this is that it can sense when you aren’t home and it will turn down the temperature and go into energy saving mode. This means it will only be going full blast while you’re actually there and enjoying it. The Nest thermostat records what temperatures you set it to and it makes everything much more convenient. You don’t have to take the time to get up, go to the thermostat, and put it to the temperature you want because this thermostat does it for you automatically. It will get on a schedule and put the temperature where you want it and when you want it there. If this thermostat seems like something you are interested in, then keep reading to see how to install a Nest thermostat. Before you continue reading to see how to install a Nest thermostat, you want to make sure you have all the tools you’ll need and, if you don’t, you’ll want to make sure you can easily get them. The things you’ll need to do a complete install of the thermostat are below. A small Phillips head screwdriver to remove the wires from your old thermostat. These are the only tools you’ll need and the install will take about 30 minutes. The package includes tape with letters that will help with labeling the wires. In terms of specs for this thermostat related to others, there aren’t really any that would need extra research or explanation. It’s pretty straightforward and the only difference is that the technology is better than the thermostats that aren’t considered smart devices. This is where we’re going to go into detail and look at the steps on how to install a Nest thermostat. It’s relatively simple and, as long as you don’t skip any steps, you’ll have your thermostat up and working in no time! Go to the circuit breaker and turn off the power to your thermostat so you don’t short out the wires or electrocute yourself. Use the blue stickers that came in the package to label the wires. Make sure you look at the diagram to check you’re labeling the right wires. Remove the wires from the old thermostat and unscrew it from the wall. Bring the wires through the Nest plate and use the little bubble level to make sure it’s level. Make a mark so you know where it will go. This step is optional, but if you want to cover up the old screw holes then you’ll want to install the trim plate. Use the screws and screwdriver that came in the package to install the Nest base into the wall. Put the labeled wires into the right spots on the Nest. A small tab will go down once you insert the wire correctly. Line up the small rectangle connector on the back of the Nest display with the rectangle on the base plate and attach the display. Go back to the circuit breaker and turn the power on. Connect the Nest thermostat to your Wi-Fi. Follow the setup instructions that you see on the screen. Download the Nest app on your devices. Connect the Nest to your smart devices. While there aren’t too many cautions to take into consideration, there are a few very important things you need to do. The first one is to make sure the power to the thermostat is not on before you begin working on it. This will help you not electrocute yourself or end up shorting out the wires in your home. The other important thing is if your old thermostat is either 120V or 240V, then don’t try to install the Nest thermostat. This is also true if the thermostat has thick wires because the Nest won’t work correctly. Now you know how to install a Nest thermostat and some of the important things to consider. You should be able to decide whether or not it’s something that you would like to have. Not only is it easy to install, but it can make your life easier and your home feel more comfortable. You can also end up saving a good amount of money on your energy bill, as well as being more eco-friendly. If this sounds like something you want or you have any questions, leave a comment below! Anyone who has installed one on their own is also welcome to comment! People who live in studio apartments, compact living spaces or work in smaller offices often choose wall heaters. They are preferred because they produce a comfortable amount of heat, which is great for the situations we mentioned above. They keep small living or working zones warm, using up very little floor space. We all know how annoying it is when your wall heater stops working, right? Luckily, on the Williams website, you can find useful Williams wall heater troubleshooting steps. Here you have the steps you need to follow for the Williams wall heater troubleshooting process. The heater is not blowing warm air but either cold or cool. This can happen because of a dirty air filter or a leak in the duct system. You may not see it unless you go into your attic or crawl space. Check any pilot light issues to see if the gas valve is on. If not and you cannot light it, call a professional. There may also be not enough or not any fuel in the heater system. The device will not stay on or lit. Some of the newer heating systems are electric and don’t have a pilot light. In this case, it might be that a sensor needs is dirty and needs to be cleaned off. The heater will not turn off at all. It is possible that the switch is turned on auto instead of in the on position. If this is not the case, the thermostat or furnace may be broken. Replacing a thermostat can be a do-it-yourself task, but you may need to hire a professional to replace your furnace. If none of these steps have fixed the problem, please contact a Williams wall heater troubleshooting professional for further instruction. Philips Flat head screwdriver – for loosening the knob stem nuts. You will also need it for face plate mounting screws and removing the unit from the wall. Clean rag – for cleaning off the dirt that might be on the sensor or on the ducts. Don’t any of these recommended tools or steps fix the problem with your wall heater? Please contact the Williams wall heater troubleshooting service. The pilot will not stay lit even after following the lighting instructions. This could be from loose of dirty valve connections or a defective generator or gas valve. No gas is going to the main burner – this could be from something as simple as the gas valve not in the on position or the furnace not plugged in. Also, a defective thermostat or valve could be the problem too. The furnace is working but shuts off before heating up the room or is not producing enough heat – this could happen if the furnace you installed is too small for the area it is trying to heat or simply where you can find the thermostat. The furnace is working but won’t shut off when it finally reaches the temperature desired – this can be from a defective thermostat or the thermostats wiring itself having an issue or a valve can’t close. For any questions or concerns about these issues with your furnace, please refer to the Williams wall heating troubleshooting. Please let the furnace come to a cool down before examining it to prevent burns. Never open a flue so that you expel gases into another room, a fireplace or any part of the inside of a building. Do not allow clothing or other flammable or combustible items on or around the furnace. If you are unsure about what is and is not safe around the furnace or heaters, please refer to the Williams wall heater troubleshooting. It is best to wear your own protective gear, for example, gloves and safety glasses, so to help in avoiding any injury by possible sharp metal ends or if you are standing around the furnace as you are cutting or drilling a hole in wood or metal. Another good way to prevent any damage is if you are working with wires, label all of them prior to disconnecting them if needed. If you are unsure about the proper wires to disconnect, please refer to the Williams wall heater troubleshooting. It’s a good idea to set the thermostat to the lowest temperature while working on the furnace or heating system. It’s also a good idea to turn off all electric power to the heater while you are doing any adjustments to it. In the case that you have a gas heater and you do smell gas first thing is to open all windows. Keep all appliances off, stay away from and do not touch any electrical switches. If you need to use your cell phone, step out of the house and do not use any landline phones while inside your house. If you happen to have a flame going such as in a fireplace, extinguish them. When outside with your cell phone, then call your gas company or if you do not have a cell phone available, please use a neighbor’s phone. The gas company may give you instructions but in case you cannot reach the gas company, call the fire department and the Williams wall heater troubleshooting to speak to a specialist immediately. Even though wall heaters are very safe, always take into consideration that where you place your furniture is important. 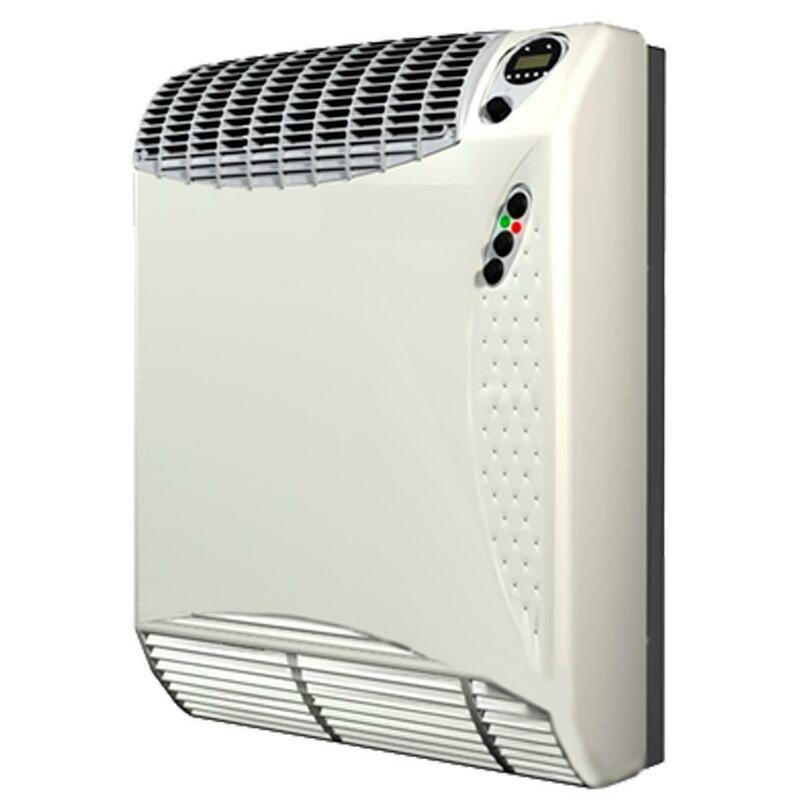 When it comes to a wall heater, it is best to keep them away from the outflow of heated air. That is really the only safety procedure one should consider when using a wall heater otherwise it has many excellent benefits. With this, repairs are usually very minimal. However, if you do have questions or concerns about your wall heater and need some professional assistance, please contact the Williams wall heater troubleshooting service either by calling Williams or referring to their website for questions or instructions.